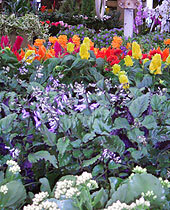 Fifth Avenue Greenhouses offers a full range of horticultural products and services. Our 15 greenhouses grow the majority of our plants locally, allowing us to provide superior products to our customers. Weekly, trucks arrive from Florida and California to bring those unique items not found locally. Service and delivey are available to all the Fort Worth/Dallas metroplex and surrounding areas including the following counties: Dallas, Denton, Erath, Johnson, Tarrant and Wise. 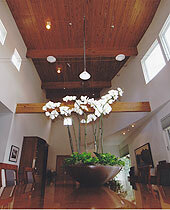 Fifth Avenue Greenhouses has served the Dallas / Fort Worth, Texas Metroplex and surrounding areas for over 35 years! We supply quality plants and people you can count on. 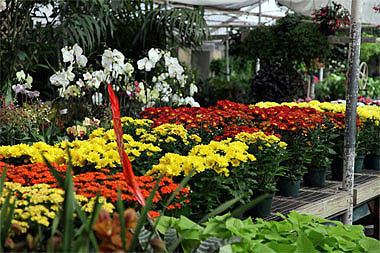 Fifth Avenue Greenhouses is a one-of-a-kind wholesale horticultural enterprise. Rarely in this industry will you find the following all under one roof. Provides outstanding-quality blooming and foliage plants to florists, garden centers, grocery stores, interior designers, interiorscape and landscape companies, retail stores for display, fundraisers and churches in the Fort Worth / Dallas region. challenge us to the task! Offers personalized commerical and residential plant design and maintenance to local Fort Worth / Dallas area businesses and individuals. Some of our accounts have been part of our program for over 20 years! 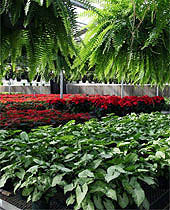 On-site greenhouses generate many of the premium plants sold daily which include holiday crops of poinsettias and Easter lilies. Where else in the Fort Worth / Dallas area can you buy the freshest locally-grown florist-quality plants? is surpassing our customer's expectations. We will ensure your complete satisfaction. Give us a call at 817-926-3344 . 5th Avenue Greenhouses © 2010. All rights reserved. Web Design by Out of Nowhere.